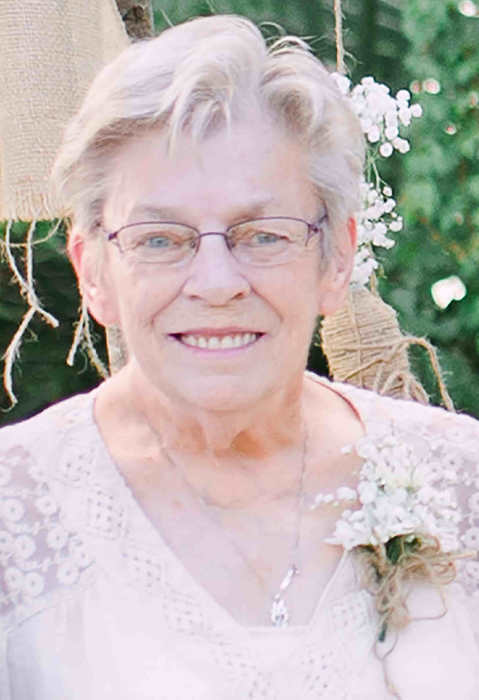 Dorothy Annette Howell “Dot” Martin, age 74, born in Bay Minette, AL and a resident of Pine Grove, died Thursday, March 28, 2019 at her residence. She was the owner and operator of Bay Florist and Heads Up Beauty Shop. She is survived by her husband, James E. “Jim” Martin of Pine Grove; her children, Steven Wade (Janet) Caraway of Pine Grove, Sandi Caraway (Chuck) Peak of Pine Grove and Stacy Martin (Christopher) Hadley of Robertsdale, AL; two brothers, Roland (Frances) Howell and Mike (Donna) Howell both of Bay Minette, AL; nine grandchildren, Steven Ross Caraway, Stephanie Darlene Caraway, Jameson Loyd Peak, Collin Taylor Peak, Audrey Alise Peak, Kaitlyn Hadley, Gabe Hadley, Corey Hadley and Meghan Hadley and great granddaughter, Brelynn. She was preceded in death by her father, Fred Marion Howell; her mother, Eunice Felter and sisters, Norma Howell, Louise Blais and Glee Weekley. Funeral services will be held Monday, April 1, 2019 at 11:00 a.m. at the chapel of Norris Funeral Home with Reverend George Blais, Jr. officiating. Burial will follow at Pine Grove Cemetery. The family will receive friends Sunday, March 31, 2019 from 5:00 p.m. until 8:00 p.m. at Norris Funeral Home. In lieu of flowers they family requests memorial contributions be made to the Pine Grove Volunteer Fire Department Ladies Auxiliary, c/o Cindy Elliott, 16571 Pine Grove Road Ext. North, Bay Minette, AL 36507 or the Light House, 23306 E. Chicago Street, Robertsdale, AL 36567. Pallbearers will be Jeremy Howell, Chris Howell, Rob Taylor, Eddie Ferguson, Joseph Ferguson and Chris Elliott.